What is this succulent weed? This guy has been growing like gang busters in a newly planted bed of ground covering sedums. It's actually kind of a nice ground cover but based on its rate of spread and the fact that I didn't plant it I'm thinking of yanking it all up. It has oblong, almost jade-like leaves; grows from a ground hugging stem that sprouts radially from a rooted base. No flowers yet, but it spreads aggressively both in the garden and pavement cracks. Seems to prefer dry areas. 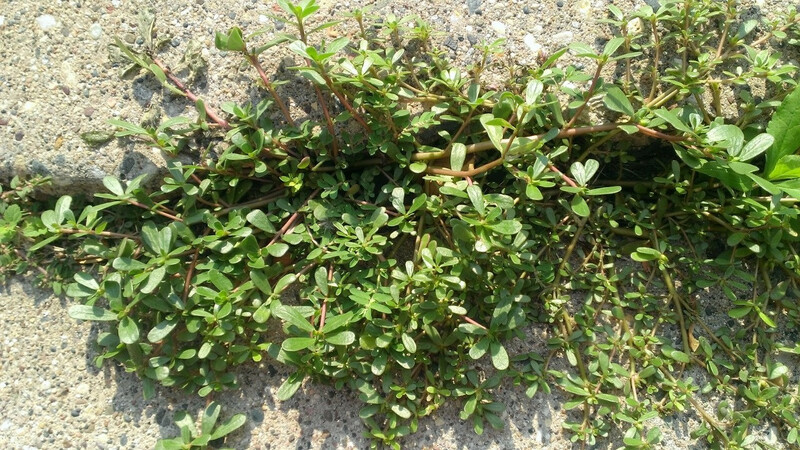 This is Purslane (Portulaca oleracea). Identifying characteristics are the ground-hugging branched stems that you mentioned, and in the photos, the paddle-shaped leaves in pairs along the stems, with the leaves clumped closer together at the ends of the stems. It's an annual weed that grows extremely quickly once hot weather arrives. When the flowers arrive, they'll be tiny and pale yellow in color. It responds well to weedkillers such as RoundUp, but I usually find it in my vegetable beds so I tend to control it by hand using a hoe to cut the stems just below ground level. I also find it fairly easy to pull by hand if the ground is wet -- just grab the entire plant underneath the branching stems and pull straight up. It can re-root itself if you leave pieces lying around so be sure to remove them. Not the answer you're looking for? Browse other questions tagged identification weeds or ask your own question. How can I get rid of this vine-like weed with small rounded leaves? 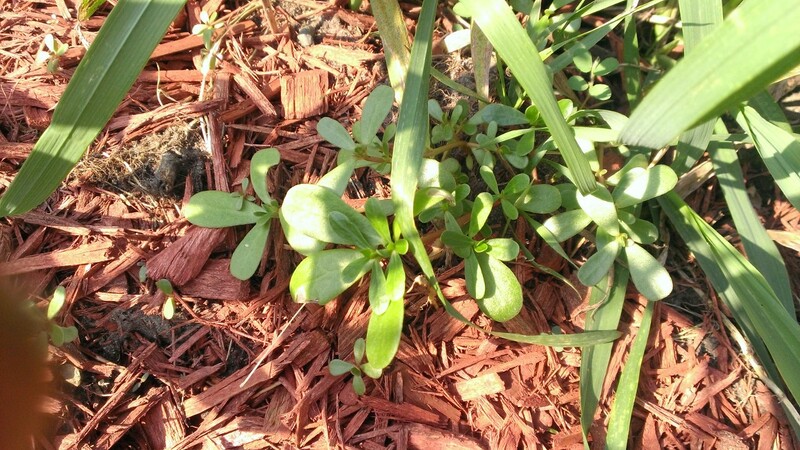 What is this weed and which herbicide will kill it? What is this tall, vigorous weed? What plant or weed is this? What is this grassy weed called? What is this weed with purple flowers? What is this succulent/weed growing on my lawn? What is this purple-flowered weed? What is this hairy weed?